This Online Support Page is for the use of the Society’s Officers, Representatives and Tent Sponsors. This page contains items to support our Society Tents which can be downloaded or in some cases can be ordered. The Society has a Policy to partially subsidize the cost of purchasing certain support items specified on this page. From time to time more support items for you will be added on this Online Support Page. Remember that copies of our latest Membership Applications are available on our Members page. We strive to keep them up to date with the most recent changes being December 2015. The Society will partially subsidize the cost of certain designated Society Tent items by reimbursing 80% of the cost of items purchased after February 1, 2019 by our Society Tent Sponsors, up to lifetime maximum of $250 per Society Tent. To be eligible for reimbursement, such items must be those approved by the President or President Elect and be displayed on our Other Resources page of our Society web site. Have already assembled its two Display Binders for ongoing use at the Society Tent. 1 – With your receipts for an order of $280 of eligible items from this page, the Society would remit $224 to you ($280 x 80% = $224). 2 – With your receipts for an order of $350 of eligible items from this page, the Society would remit $250 to you ($350 x 80% up to $250). In this case, the $250 rebate limit for that particular Society Tent has been reached so no further rebates are available on any subsequent purchases for it. 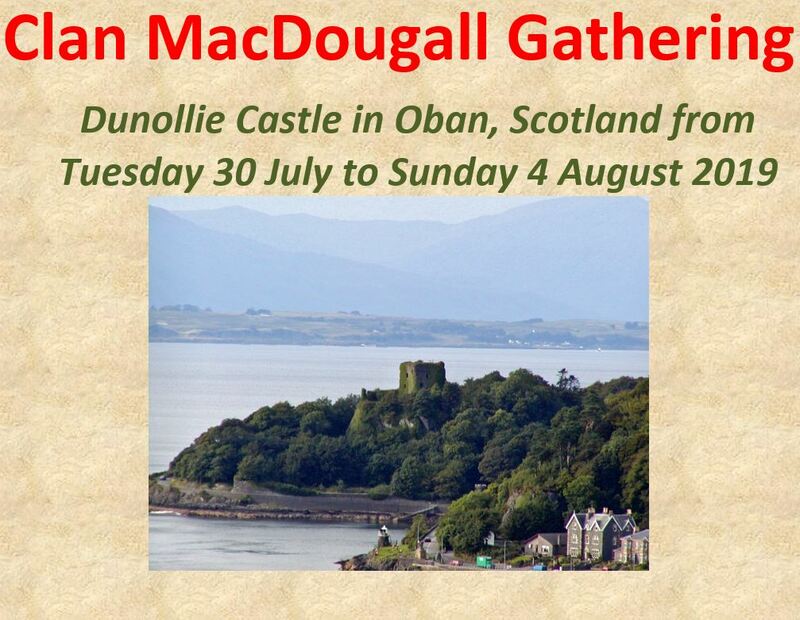 Our Society Banner displays the surnames in several spellings associated with Clan MacDougall and Clan MacDowall. These Associated Surnames are Represented by our Clan MacDougall Society of North America. You may obtain your own Associated Surnames Banner by using the template below. This a template of our Society Surnames which you may download for use in ordering your own Society Surnames Banner from suppliers such as Vistaprint.com This Surnames Banner is 4 feet x 4 feet in size with surnames in print about 1 inch high. We recommend that you order your banner in exterior vinyl and with grommets for ease of attaching it to your display. You may download this Surnames Banner template in pdf format by clicking on this hyperlink Clan MacDougall Society Surnames template. A picture showing what the finished Surnames Banner looks like is available here: Clan MacDougall Society Surnames Banner preview. These 2 1/2” Wooden Clan Crest Stamps are eligible for the Policy to Support Society Tents. A pair with 1 ink pad sells for about $55 U.S. at regular prices but sales are sometimes available. To order your wooden 2 1/2” (8 cm.) Clan Crest stamps from www.zazzle.com at https://www.zazzle.com/create_your_own_wood_art_stamp-256050272155248123 you will require the following template pdf images to upload when creating your order. 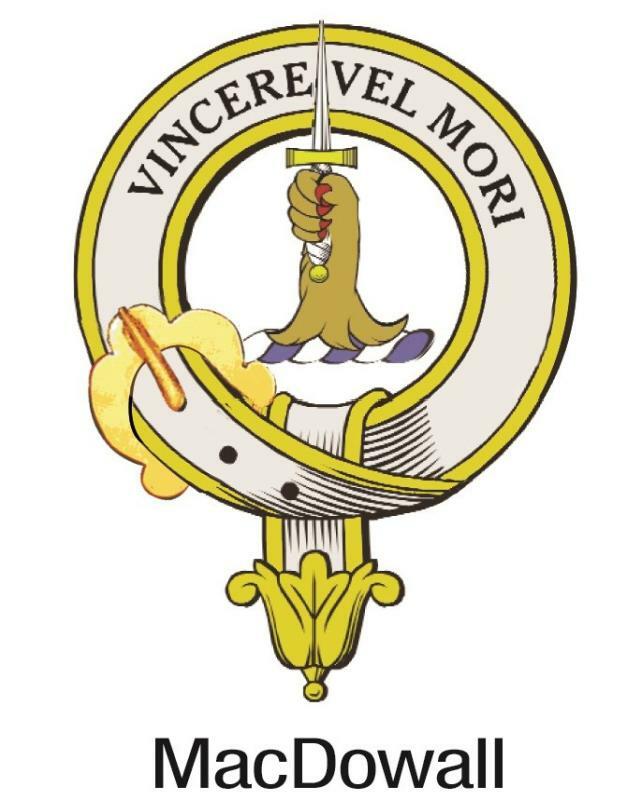 A – You may download the above Clan MacDowall Crest stamps template in .jpg format by clicking on this hyperlink. 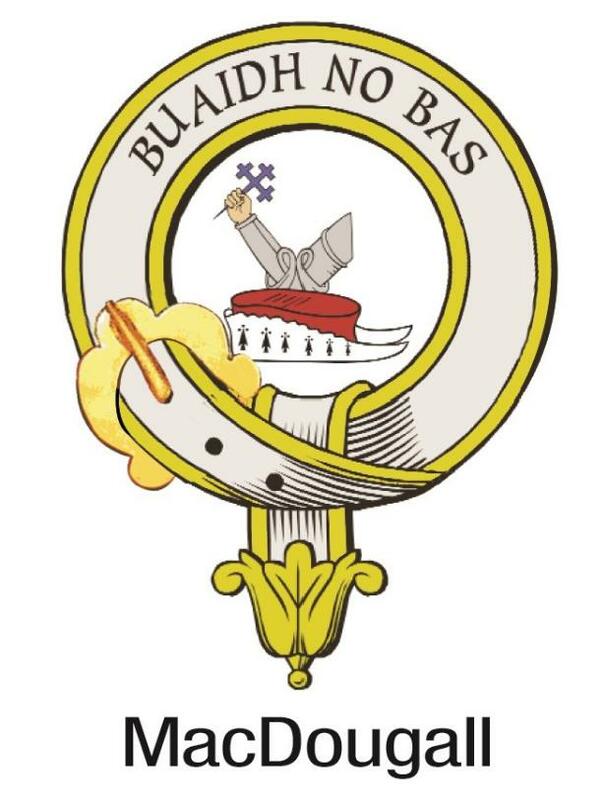 B – You may download the above Clan MacDougall Crest stamps template in .jpg format by clicking on this hyperlink. The Readme First document explains how to obtain the Officers Handbook, 2016 version. Please read Readme First before proceeding further by clicking on this hyperlink. We think you will find that our Officers’ Handbook is a great assistance to everyone from novices to experts. Our 2016 version replaced the previous (2014) version. 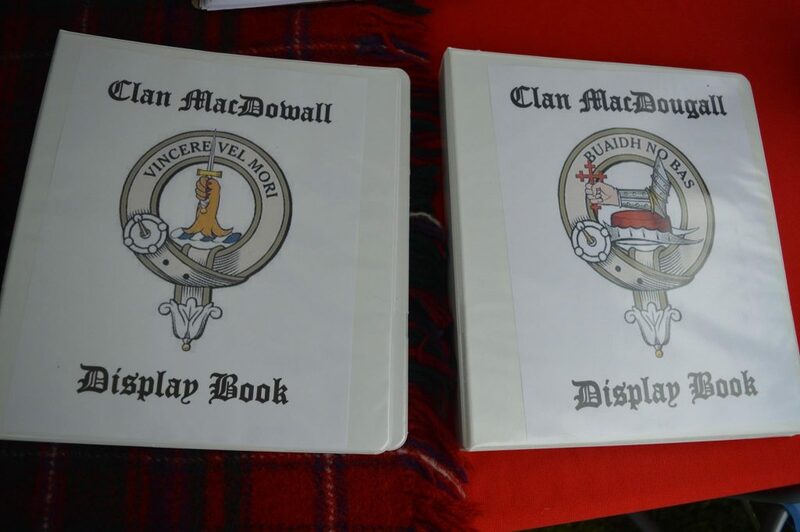 It includes extensive updates to our Display Binders for Clan MacDougall and for Clan MacDowall for use at our Society Tents. You may now print them out from your Officers’ Handbook by following the instructions in the Appendices. If you wish to receive this Officers’ Handbook, please click here to email your request Scott MacDougald. Alternatively, you can send the e-mail to President@MacDougall.org and write “Officers’ Handbook” in the subject line. Scott will reply to you with an email containing a Dropbox link to it (the file is too large to send as an attachment). These are handouts that describe the history, symbols and sources of more information about our Clan MacDougall and Clan MacDowall. We often share these informative handouts along with a membership application form with especially interested visitors to our Clan tents/booths at various games/festivals/events. They are an excellent starting point for researching your clan heritage. 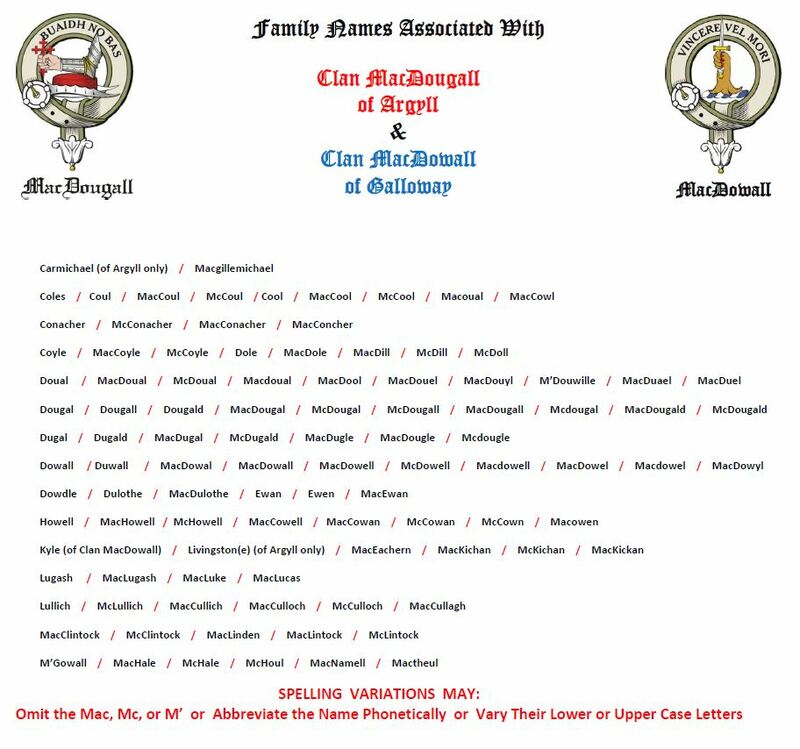 Click on the clan name to download the separate pdf handout for Clan MacDougall and Clan MacDowall. In December 2017 our Past President Malcolm MacDougall arranged to have our red Society Brochures updated and reprinted. Changes include updated mailing addresses and some text changes. You should have received a supply of these new red Brochures by now. Please use these new Brochures instead of the old ones. If you do not have enough of the new Brochures for your Society Tent please advise Malcolm at mpmacd@yahoo.com. These are posters that can be displayed at our Clan tents/booths at various games/festivals/events to promote the upcoming International Gathering in Oban in 2019. If you have your own designs, please share them and we can post them here for Society Representatives. There are two posters: One and Two. Interested in helping out the Society in some way? Please fill out this form. For display at various events, and also to be sent to those you may know. Please note that this form can be filled out digitally, without it having to be printed, and then returned by email.